This is the fourth of a five-part series about the “stages” of personal finance. First, I described the zeroth stage of money management, in which I was fumbling in the dark, spending compulsively and accumulating debt. Next, I described the first stage, in which I finally saw the light and began to repay my debt. Last week, I shared the the light at the end of the tunnel: what happened after my debt was gone and I began to save. Today, I share the current state of my personal finances as I begin to explore the third stage of personal finance. In February, I wrote that I was entering the third stage of personal finance. The first stage, I said, had involved repaying my debt and learning to control my spending. The second stage focused on building savings and developing smart money habits. Now that I had mastered these two steps, I wondered aloud what came next. 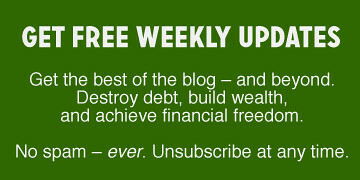 Several readers quickly noted something I had forgotten: The ultimate goal — the eventual fourth stage of money management — is Financial Independence, the condition of having saved enough money that you can do whatever you choose. When you reach Financial Independence, it doesn't matter whether or not you elect to keep working — you have enough saved and invested to follow your dreams. Once I remembered that my ultimate goal was Financial Independence, the purpose of the third stage became clear to me: it's the long, slow process of utilizing everything I've learned in order to enjoy life while building wealth so that I am truly financially free. Kris and I have refinanced our mortgage, and we continue to make accelerated payments on it. We've weighed the arguments for and against this, and have concluded that for our circumstances and our goals, we want the house paid off as soon as possible. I'm continuing to contribute to my retirement as much as I possibly can. It's my top priority, and as soon as I've paid my taxes, I'll bring my contributions up to date for the year. I use credit, but I use it responsibly. I never buy anything for which I could not pay cash. I don't buy frivolous things with credit. I pay my credit card in full every month. When I spend, I spend consciously. I've learned to prioritize things. Television isn't important to me, so I don't pay for a deluxe cable package. Instead, I use that money to fund my comic book habit. Making choices like this is the heart of frugality: spending on the things that are important while cutting back on the things that aren't. I'm saving for my Mini Cooper. I still haven't decided whether I'll buy new or used (again, I know the arguments for both choices), but I do know that I'll pay cash when I purchase it. I continue to manage my business. That's right: Get Rich Slowly really is a business, and as a result I have many business decisions to make. How can I increase my income? Which advertisers should I accept? Do I lease an office so that I can separate work from home? What about hiring an employee to help me with research and e-mail? I think about all of these things and more. I find that I'm much more interested in the stories of others who have been successful. It took me a while to get comfortable with the notion, but now I love to take people to lunch to pick their brains. One thing that's intriguing about the third stage of money management is that concepts and skills that used to seem hopelessly out of reach now seem like distinct possibilities. And, of course, I'm allowing myself a budget for fun. During the first two stages, I tightened the screws on my spending. I pinched pennies. I haven't become a spendthrift by any means, but I now allow myself a certain amount for “wants”. I don't come close to spending what I set aside for this, but that's fine. Just knowing that it's there, that I've given myself 30% of my income to spend on things that bring me joy allows me to not feel guilty for indulgences. I know that I can afford them. These are the things I'm doing now, but there are others I'd like to do in order to help me along the path to Financial Independence. For one, I plan to learn more about investing. Right now, I'm putting my money in index funds. But over the next year I plan to spend a lot of time reading books and speaking with smart people, trying to discover other options. It may be that I decide index funds are the best choice for me. I want to explore my options, though, to see what else is out there. So, to answer my own question, “what next?” is more of the same. It's difficult to argue with this steady progress that I've made. I'm willing to continue down this path for many years to come. I feel extraordinarily fortunate to be in this position. Just five years ago, I was deep in debt and struggling. Today I am debt-free (except for the mortgage), have a job that I love, and make a good income. I've learned to curb my urge to own things, and have even purged some of the stuff I bought before. I have a great wife, a great life, and a great future. I do not yet have Financial Independence, and I may never reach that goal. That's okay. I'm grateful just to have reached this third stage of personal finance. Note: This series is intentionally less “polished” than most articles at Get Rich Slowly. It's a chance for me to think out loud, to explore the stages of personal finance with you, the readers. There are 38 reader responses to "Lighting the Way". Even “financial independence” is a tough one to define. Is it enough to “get by” or enough to live the way you want? As a big supporter of index funds, I’m eager to hear about the reading/research you do in that area. I actually come from the opposite perspective. I used to believe strongly in actively managed funds. I even made a living for a while by getting other people to invest in them. But over the last few years, I’ve done a complete 180 on the issue as I learn more and more about it. I would agree, but also ask you to challenge that progress. Just because it has gotten you this far, how do you know it will get you where you need to go? You may have to shift course. Meaning, your earlier path was set just right for those obstacles, but now you have new ones. It may require a different method to your madness. If you rediscover a new way of doing things, it may help you achieve your goals faster/cheaper. Heck, you may even surprise yourself. Nonetheless, you have done an amazing job thus far and I am just starting out on your past journey. I am being selfish here… If I can learn from your and Trent’s past, it will continue to help me grow too. I love my mini cooper. However the 5 speed manual transmission needs to be replaced at 44k miles. I have now found out that is pretty common with that particular transmission. We will be replacing it with the 6 speed. I’m glad that you’ve made room in your budget for fun. My grandfather used to say “Moderation in all things…including moderation”. My previous attempts to set budgets used to fail because I would not allow myself any indulgences whatsoever. Inevitably I’d find myself chafing at the restraints, and I’d end up going off the wagon in spectacular fashion, usually ending up further behind than where I’d started at. When I finally allotted myself a small amount in my budget to do whatever I wanted with, I found that I had the willpower to stick to the overall budget. In addition, when I *do* spend this “fun” money, I’m more particular. I now spend weeks figuring out the best value for whatever I want, and I don’t regret the purchases like I used to. And the best part is that when I do get something, it’s paid for in cash. So I’m no longer accruing debt and digging a bigger hole for myself. FWIW, JD — re charitable contributions, my personal thought is it doesn’t work to force the impetus. I think it’s perfectly acceptable to give back to the community in a different way than giving money, if that doesn’t feel natural to you. I would like to point out that ‘giving’ is not only about money. I spend many hours a week volunteering both online and in my community. To me this Stage would be about figuring out what your Financial Independence number actually is from a strict dollar value. How much are you really going to need to live out the rest of your life in the style that you want (with a little safety factor in based on your risk tolerance, life expectancy, etc). Until you have an exact target to seek, you really can not be sure that the financial choices you are making at this point are really in your best interest. I’d hate to have more money that I’d ever really need and not even know it. Spending extra years working when you wouldn’t have had to or investing in more risky assets when you could be safely investing the money knowing you don’t need as high of returns. And then in addition to that, once you know your financial number, knowing when you really want to get there. Maybe you can get there in 5 years. But, then again maybe you can also get there in 10 years but with a little more enjoyment along the way. To me this stage is all about finding your balance point, so you can start living a more fulfilling and balanced life knowing you don’t have too much or too little money to get you there. I was actually relieved to read that you allocate a certain percentage of your income to spend on wants and things that bring you joy, and that you don’t feel guilty for indulgences because you know you can afford it -Why? because that tells me you now have a healthy relationship with money! And that’s terrific, and the reward, I feel, when one is out of debt, to do just that. Like you, I have this similar healthy relationship w/money, plus am saving to buy another car w/cash. People can go from one extreme to another – overspend irresponsibily & accrue debt, or there are those who are literally immobolized by their money, fearful to spend, hoarders, even when they can afford to, and experience guilt, remorse, etc., and that’s ridiculous, and I always cringe when I read about people like that. Good for you! Money is a tool, and you’re not a slave to it. Perfect. As I was reading through your plan I noticed that only one item from your bulleted list specifically includes your wife – does that mean that the other items in your plan are solely individual (versus family) in nature? I remember seeing a previous post where you mention you don’t fight about money. Is this because you keep your finances completely separate from your wife’s? I’d really be interested to hear what works to keep the money fights at bay and the logistical set-up of personal/joint finances. Maybe this is in a previous post that I can’t seem to stumble across in the archives – can you point me in the right direction? I, like Sandy, am relieved that you are now allowing yourself some fun money. Previously you had seemed possessed about NOT spending any money for fun. Don’t give blindly to charity. Find something you believe in! Surely there is something out there. While we’d all like to be financially independent (meaning “wealthy”) so that we don’t have to work, don’t spend your life wishing you didn’t have to work. Work is okay. Work defines people and work is healthy. Men who don’t work often drive their wives crazy if they are both at home! It bugs me when people want to be rich so quickly so they can live a life of “play”. That’s just as selfish as never even considering charity of any kind. Would I be stepping on a land mine if I asked whether or not you are planning for kids in the future? May I suggest that if you buy new, they will pressure you to take an “extended warranty”? Based on that, I buy my own “extended warranty” by financing a small percentage of the car for 2 years with that credit union. Cheap “insurance”. You might be interested in this article if you are thinking about needing office space outside the home. I am almost where you are, JD, but still working on the E fund. I’m really interested in investing and can’t wait to see what you have to say about it. Like a couple others have mentioned, I’m curious as to other people’s planning in this sort of situation and how they manage it with family. J.D. has set down a path towards “financial independence” and seems to have a pretty concrete direction. Like Corey mentioned in comment # 10, though, he doesn’t really mention his wife and her goals. Does she share the same goal? If not, is J.D. planning on saving for the both of them? If he isn’t, and she doesn’t, certainly he’s not planning on getting to retirement age and telling her to sink or swim on her own (I remember J.D. saying his wife has historically been a lot better about saving than he has, so this may not be an issue for them). The considerations of spouses and other family members are central to a lot of our financial planning, and I’d love to hear some more discussion as to how people manage to focus on goals for both parties in a partnership. Personally, I’ve taken the “easy” (if you could call it that) route and decided that I’m going to be able to provide for everything we need, even if my wife makes no money at all. Our lifestyle is tailored such that we only need my income to live, even including saving for retirement. Not everyone can afford this luxury, though. Also, although it’s obviously popular around here, the notion of “financial independence” doesn’t mean a lot to me. It’s ambiguous. Saving such that you can retire at 65 and not worry about having to go back to work is a far cry from retiring at 45, buying a yacht, and sailing around the Mediterranean until you decide to do something else. Both these goals seem to fall under “financial independence”, but they’re completely different goals. I’d rather hear someone say “My goal is to retire before 50 and sail around the Mediterranean for the rest of my life on my yacht,” than “I want to be financially independent”. The first one is an actual goal. The second one just sounds like (at least to me) “well, money’s pretty useful, I guess I’ll try to get a bunch of that, maybe I’ll decide what to do with it later”. It’s a far less interesting thing to be planning for than the yacht trip. And to tie that back to the first point, your wife (well, mine probably) is a lot more likely to be OK with the idea that you’ll save a bunch of money and figure out what to do with it later than the yacht trip, because maybe she doesn’t want to live on a boat and she’d rather spend her retirement around her grandkids and growing a garden. But if you never make joint plans with your spouse, then how would you even know? Maybe you’re planning for two completely different retirements. Not a land mine. Kris and I do not plan to have children. We love our friends’ kids (and our niece and nephews), but have elected not to have them ourselves. Regarding the giving to charity. I was not from a family that gave $$$ either (and they still don’t). I can recall being in trouble as a teen for giving $10 (back in the late 70’s) to some charitable cause–from my own part-time wages. But I’ve always believed in charity and giving $$$ and time to church and organizations. When I can’t afford to give $$$, I make it up with time. Our time is such a valuable commodity, and people need our help. Since the 1950’s, we contribute (on average) 42% less time than our parents and grandparents did. Our parents and grandparents had more children to raise, yet had more time to contribute to causes and church. They also went to church at a greater level than we do (which built in the “tithe” concept). Think how much better off we would be if everyone who had a job now (even if you set a $40K base) contributed 1% to charity and church–a tenth of a traditional tithe. Would the 8% who are unemployed and emptying the foodbanks have as many sleepless nights? Great Lenten topic to ponder–thanks! Side thought–With your career, you should also consider contacting the BSA and Girl Scouts and offering to counsel merit badges in Personal Management (an Eagle required badge, BTW). You could help get a lot of young people off on the right foot. J.D. I thought of you recently when I was researching a local Portland group REACH Community Development. They provide low-income housing and also assist people in stabilizing their lives, including financial education for both adults and children. Great tips. Thanks. I’ve learned to become frugal over the last few months. I use to spend sometimes hundreds of dollars a day and now I go throughout the day without spending a dollar. I can’t even believe how wasteful I was before. Hmm… I’m a fairly new reader of your blog. I have spent some time reviewing the topics you’ve posted, and I have a good deal of respect for you and for your work. However, I am disappointed to read that charitable giving is not a regular part of your budget. I don’t think the financial advice you give (which is your profession and your passion) is necessarily a substitute for making consistent contributions to a cause in which you believe. I do think that it is an obligation for those of us who have the funds to share our time AND our effort with those who are in need… and I have a hard time following the financial advice of somebody whose view of responsibility is more self-centered than that. I hope you will consider it carefully. JD, my wealth management company, Vista Capital Partners, did a web seminar this week addressing investor behaviors, economic signs and reasons for optimism in this current market. They are a firm that believes in passive vs. active investing. They definitely champion index funds. You might find the webinar interesting. You can find it at http://www.vistacp.com/resources/where-do-we-go-from-here.htm. It made a lot of sense to someone who is always looking for the best sale price. They are a local Portland firm and could be a good resource for a future post on index funds and investing. Thanks for an awesome resource site! Any thoughts about syndication JD? I could easily see your articles being picked up by newspapers or money magazines. Perhaps use the success of GRS as a springboard to spread the message? That wouldn’t be a pressing goal, but a nicety to have long-term. JD – your comment regarding charity – if you want to be charitable, there is nothing wrong with it. But don’t feel forced to “embrace it” just because others think you must. If there is a charity you value a lot, and you want to see it be successful, it would make sense for you to support that value. However, don’t let unearned guilt make you part with your money. Its yours, you earned, you have a right to spend it however you want. By the way – if you really you value helping people with personal finance and want to “give” that way – go ahead and do free seminars, or other things that focus on that. That would be supporting YOUR passion and still would be helping others. I just had to pipe up, because it is wrong for anyone to try to make some one else to feel obligated to donate to charities. If you are having trouble “embracing it” it probably just means that perhaps you are being guilted into it. Don’t let anyone do that to you. One of the reasons that I love reading this blog is J.D.’s willingness to be so honest about his experiences with money. When I read the above post, I didn’t really have much of a reaction to his comment about charitable donations, but reading the comments I see that others have strong opinions on it. It did point out to me that J.D. is pretty brave to put it all out there. This post got me thinking more generally about goals. I’m still in the “getting out of debt” stage and most of my larger goals include buying a home, increasing my 401k, etc. But I’m thinking that perhaps it would be a good idea for my fiance and I to have that conversation about what we’d like to accomplish overall and what financial independence would like like for both of us. Lovely to hear you’ve vaguely considered moving to the right side of the pond. Most people drive manual cars over here, so perhaps you should get a manual Mini Cooper so that you can practice. And Kris could learn. Thanks for responding to the “kids” question, I wasn’t being facetious. Obviously it would make a big difference in the whole financial plan! I’ll be even more interested in reading about your next stage (we don’t have kids either which makes your planning even more relevant to me). Would you consider a 529 plan to help with college for the nieces/nephews? Kind of a focused charity. Dude, teach your wife to drive a stick! My sister’s BF can’t drive one, and it’s like he’s handicapped half the time! If you don’t have a crap stick shift to teach her on, you can use mine – it’s 11 yrs old and the clutch is on its last legs anyway. And congrats on your success! You are working toward great goals that have a lot in common with my own, most of which I have achieved so far as well. I’ve still got a few things to focus on, namely buying a house, but that will be within the next few months. I’ve got high hopes for all these foreclosures! There is an alternative to donating to charities: donating to friends and family. Sister’s kid doesn’t have a computer? Friend stuck in hospital for a week? You could donate to a big fancy charity and get a tax receipt, and have them spend a lot on their management fees (at least 20c of every dollar), or maybe make a tiny difference in the life of someone you know and love. You can start small – like a care package for your friend’s son in the military, all the new magazines for someone in hospital, fill up the car you borrowed even though it was just for a block or two, etc. You will need to learn to give very graciously, or they might resent you – if you can somehow do it anonymously then even better. You should never bring it up in conversation, and just smile or nod if they mention it. It really sickens me when a local family is in the paper for donating a car or something to a homeless family – it is like the publicity and smugness is their “reward”. You should not expect a reward, the reward is that you could afford to give and got to do it. Also -never give if you cannot afford it, and never give expecting anything in return. If you’re new to charitable giving and frugal finances are a passion of yours, why not combine the two? Give to a microfinance project! World Vision (http://donate.worldvision.org/OA_HTML/xxwv2ibeCCtpSctDspRte.jsp?section=10662) is one charitable organization that offers this program. You give a gift of say $100 which they loan to someone in the third world who would like to start or expand their business. They use the funds for their business, which in turn helps them to take better care of themselves and their family and once the loan is repaid it’s loaned out again to another person which helps their family, and so on. It’s a fantastic way to make one gift help potentially hundreds of people! And since you gave the loan to a charitable organization like World Vision, you get a tax receipt for it (and maybe you could take the refund you earn from that to increase the amount you give to the program the next year!). Another organization that specializes in microloans is http://www.kiva.org, but they just a non-profit so you wouldn’t receive a tax receipt, but you do get to pick which specific person you’d like to give your money to, which is really cool. P.S. It’s a great feeling to acknowlege how blessed you are financially by sharing some of that with others who would have considered you wealthy even when you were swimming in debt. Re charitable giving, I completely agree with those who say do it only if you really, really want to. Some of those in that camp have suggested “friends & family” donations, or free seminars on personal finance. I had to cut way back on giving when I changed jobs and took a 30% pay cut. When I give, I choose environmental organizations – Nature Conservancy in particular. Am looking forward to having more to spare sometime soon. JD, interesting series on the stages of personal finance. In the first stage, you defined two very clear goals: get out of (non-mortgage) debt and establish an emergency fund. Now that you’ve accomplished these goals, it sounds like you need to establish some new ones that define what “financial independence” looks like for you (and Kris). One should be to pay off your mortgage (have to side with Kris on that one!). Although your mortgage interest may be deductible for tax purposes, it’s still a cash outflow. The quicker you pay down the principal, the less interest you pay. Another might be to estimate how much you will need to save for retirement. This will involve making some assumptions about how long you and Kris will continue to work full-time, and what your expenses will be in the future, but it will be a worthwhile exercise, as it will give you a goal to work towards. As well, you might want to identity a (relatively) big “want” (aside from the Mini Cooper!) that you feel would give you and friends/family a lot of enjoyment, such as the boat in the story shared by one of you readers in the “What Next” post in February. And, as some other readers have suggested, another goal might be to give some part of your income to charity. While your work helping GRS readers to become more financially literate is commendable, there are many worthy charities that do much needed work in the community and around the world thanks to the generosity of their supporters. Pick a cause that resonates with you and make a donation — you’ll be glad you did! I would like you to know (J.D) I am a big fan of your blog and use it as inspiration everyday. However, I do believe that your aversion to “broad statements” coupled with this post requires some analysis. question: Does that 30% discretionary spending include saving for the mini-cooper? comment: I’m a big fan of charity spending. It’s a great way to put your money where your mouth is and contribute to causes you find important. I’m sure there are non-profits that help people in debt, and I bet you could find an Oregon-specific one so you can help out locally. Kiva.org is also a cool idea — you can microloan to small businesses in third world countries. I’ve been meaning to get into it. when someone pays back your loan, you can either take the money out or repay it to others. It’s also a (small) investment vehicle. Final idea for you is to donate to donorschoose.org On there, teachers place small grant requests to help their classes. The website isn’t working at the moment, but I’m sure there’s got to be some teachers request financial stuff for their classes. And I know there’s lots of math requests. It’d be a good way to help out the next generation. JD- on charity, try this experiment. Commit to giving away $25 per month. Maybe you want to give $50 for something, fine- just let two months’ money build up in an ING acct, and give. More important is that once you’ve decided to give away the money, you get to go look for stuff you are passionate about supporting. Homeless shelters? The arts? After-school programs? Domestic violence support groups? There are plenty of worthy possibilities in every community. I was surprised how GOOD writing the first check to the church we attend every now and then felt! It really felt great! I had planned to give the money away, but I had found some truly deserving people to give it to! I wrote a short letter telling the minister why I believed in what they were doing, my confidence in them in our community, and how happy I was to give to them. It truly felt TERRIFIC. My next giving goal? My old high school is refurbishing their auditorium, where I played in countless band concerts as a kid. I’m going to pay to refurbish a seat for $175. I’ve got $150 in the bank and my next month (saving $50/month now) should put us over the top. I’m going to have fun writing that check, too. Seriously- commit to some dollar amount, however small. Then throw yourself into finding worthy recipients. You will enjoy writing the checks as well. The best thing is to start every day by quickly writing your most important goal and contemplating it for a few minutes. Feel it achieved, feel the freedom it gives. Then, while you visualise this happy feelings there will be thoughts coming of things to do, concerning this goal. Write them down and be sure to act on them as fast as you possibly can. This one small thing every morning – 5-10 min. max – will catapult you toward your goal.